Skipping the animal products to eat a plant-based diet, is of course, your personal choice. 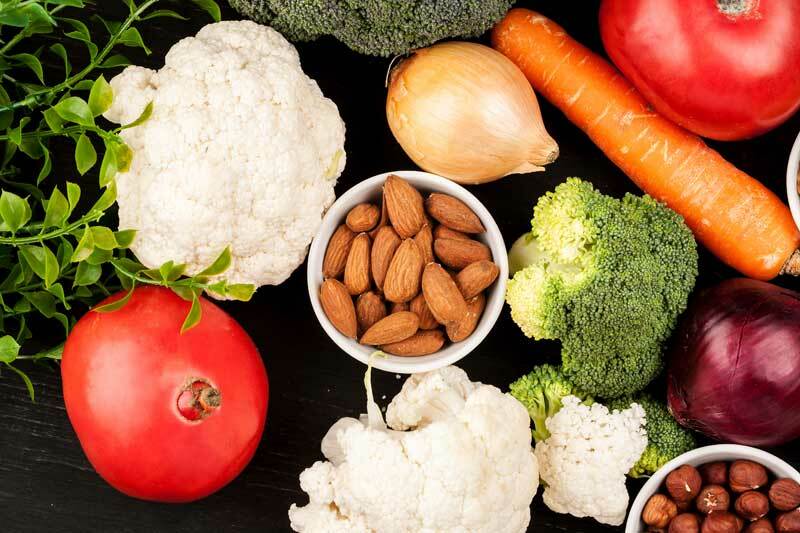 But when it comes to a vegetarian diabetes diet, there are some important things you need to know to ensure you keep your blood sugar levels in a healthy range. For instance, the various carbs that are good or bad, ensuring you get adequate vegetarian protein, possible nutrient deficiencies and so forth. Let's explore these things together now, along with food samples and recipes. Lacto-ovo vegetarian (most common type) – eat both dairy products and eggs. Lacto-vegetarian – eat dairy products but avoid eggs. Ovo-vegetarian – eat eggs but not dairy products. Vegan diet – don't eat dairy products, eggs, or any other animal-derived products. Pescetarian (or pesco-vegetarian) – a person who is a vegetarian most of the time but occasionally eats fish. Flexitarian – a person who is a vegetarian most of the time but occasionally eats meat. A diet rich in plant-based foods is a healthy diet! Yes. Nutrients are the key to keeping the body functioning. All our cells need nutrients, and vegetables and other whole foods provide the perfect ingredients for a healthy body! But, not all plant foods are great to eat when you have diabetes or prediabetes. There are a few aspects you need to understand to sustain and maintain good diabetes management, so let's go over those now. 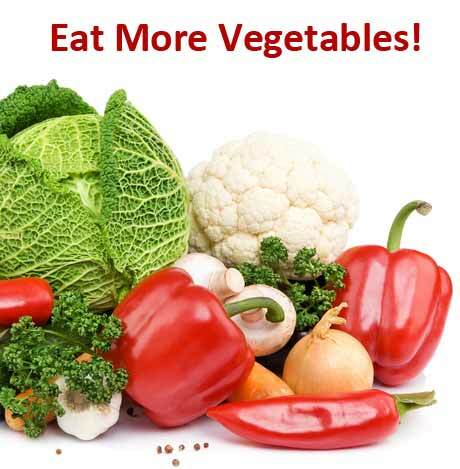 One of the most important things you can do as a vegetarian is eat more vegetables! That might sound like a funny (and obvious) thing to say, but trust me, I've met plenty of vegetarians who live on processed garbage and rarely eat vegetables! If that's you, you're first step to gaining better blood glucose control is to eat more veg, particularly non starchy vegetables. Non starchy vegetables are rich in dietary fiber, generally have a low glycemic index, and are the type of veg that won't send your blood sugar soaring. Alfalfa, artichoke, arugula (rocket) asparagus, avocado, bean sprouts, beet greens, bell peppers (capsicum), bok choy, broccoli, Brussels sprouts, cabbage, cauliflower, celery, chicory, chives, choy sum, collard greens, cucumber, dandelion greens, daikon, eggplant (aubergine), endive, fennel, green beans, green onions, mushrooms, mustard greens, kale, kohlrabi, leeks, lettuce, okra, pak choi, radish, radicchio, rhubarb, scallions, seaweeds, silverbeet, shallot, spinach, sugar snap peas (snow peas), Swiss chard, tomatoes, turnip greens, watercress, yellow summer squash, zucchini (courgette). Eggs, cheese (cheddar, ricotta, feta, cottage etc), nuts and nut butters (peanut butter, almonds, walnuts, hazelnuts etc), seeds (pumpkin seeds, sesame, sunflower, chia etc), whey protein, bee pollen, soy products like tempeh, tofu, natto, textured vegetable protein (TVP), and edamame (young soybeans – 1/2 cup); and finally, sprouted beans and legumes. NOTE: You need to be cautious of beans and legumes. These do contain protein but they are also a high carb food. Sprouting them drastically reduces the amount of carbs they contain. Carbohydrates are the nutrient that influences blood sugar and A1c the most, so eating high carb foods can be problematic and make it difficult to regulate your blood sugar levels. Research shows that low carb diets are a great way to lower blood sugar, A1c, cholesterol, lose weight, and even reduce medications. So if you do choose to include beans and legumes (without sprouting them), you'll need to monitor your portion sizes to around 1/4 cup maximum per serve. The body needs a range of fatty acids for optimal health, especially the brain, which is made up of around 60% fat! 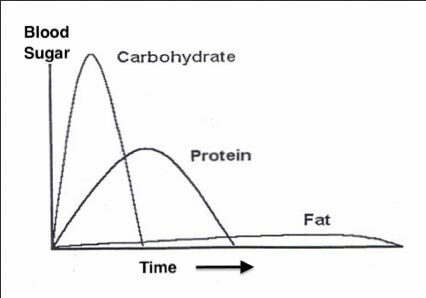 And, compared to carbohydrates, and to a lesser extent proteins, fats hardly impact blood sugar at all. Healthy vegetable oils (olive oil, hazelnut, avocado, sesame, macadamia, high oleic sunflower, coconut, and almond oils), avocado, olives (green, black, or kalamata), nuts and seeds (macadamia nuts, almonds, hazelnuts, pecans, coconut, Brazil nuts, cashews, pumpkin seeds, sunflower seeds, sesame seeds, chia seeds, flax seeds, or nut butters: peanut or almond butter, tahini etc). If you want to learn more about how different fats influence health and diabetes, click here to read our comprehensive guide to fats. Eating too many high carb foods is where vegetarians can get into trouble. 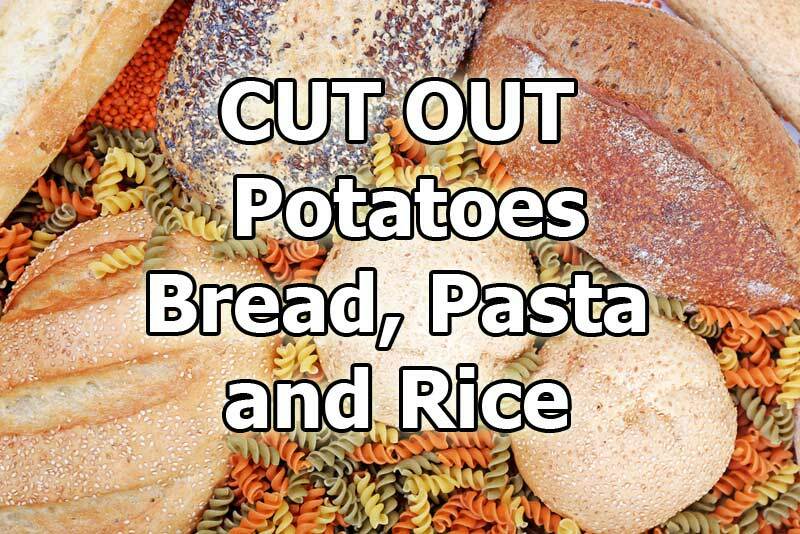 You really need to cut out, or find alternatives for, the high carb offenders. Potatoes (including sweet potatoes) – both are starchy vegetables full of carbs! All your “white” items are definitely the worst offenders – white pasta, white flour products and so forth. However, even whole grain products can be problematic when you're trying to control blood sugar levels. Even the American Diabetes Association (ADA) acknowledge in their 2017 Standards of Medical Care report, that “whole grain consumption was not associated with improvements in glycemic control in type 2 diabetes” – or in other words, eating whole grains doesn’t help you manage blood sugar and A1c levels! And, despite commonly held assumptions, you do not need to consume whole grains for fiber. Vegetables, nuts and seeds will provide ample dietary fiber! As you can see, vegetables and seeds provide ample dietary fiber! There are many high-fiber foods that won't send your blood sugar soaring, so focus on eating those instead of grains that will likely be problematic. If you take a browse through the store, you'll find a variety of vegetarian substitutes for every “meat” dish you can think of. Just remember that these food sources are often more highly processed than whole food sources. And therefore, not all of them are great. Some are okay, while others are nothing more than processed junk. When it comes to packaged foods, you really have to evaluate the quality of each food. Look at the ingredients list. Does it have a short ingredient list? And do you know everything it contains? If the answer is yes, it's probably a pretty good option. On the other hand, if it has a looong ingredients list of things you can't pronounce. Well… let's just say it may be better off left on the shelf. And you would be better off heading to the fresh food section of the store. Regardless of the nutrient content of a food, quality is still important, too. For people who are vegan, vitamin B12 deficiency is a very real concern. But for all people with diabetes, B12 deficiency can be common anyway. We've covered this topic before so find more info on B12 for diabetes over here. 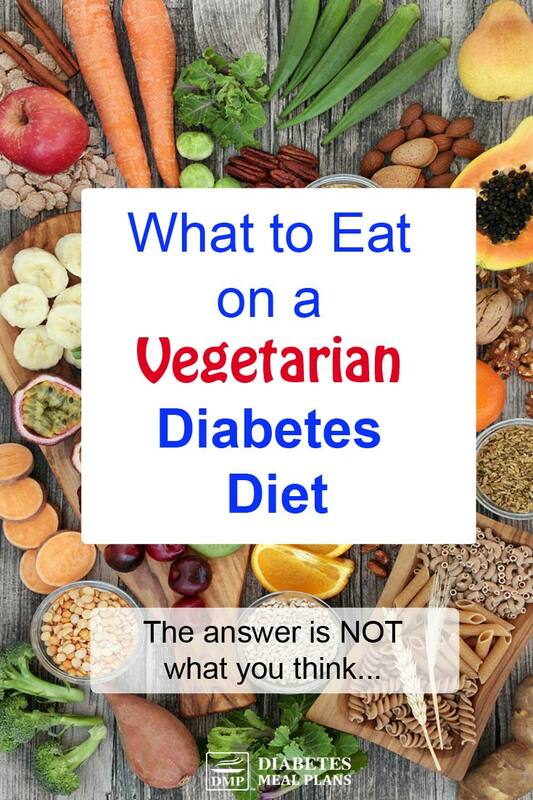 Eating a diabetic friendly vegetarian diet isn't difficult to do – when you know how. Let's look at what a sample daily menu might look like. Start your day with a Delicious Egg Muffin or Veggie Egg Scramble. 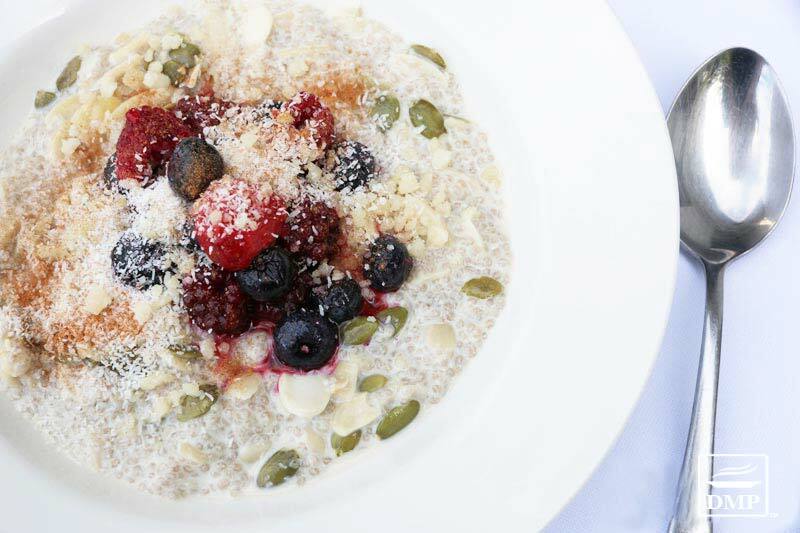 Or a Low Carb Bircher Muesli. There are any number of salad combinations that can highlight the middle of your day. Try some Zucchini Pizza Boats with your choice of filling. 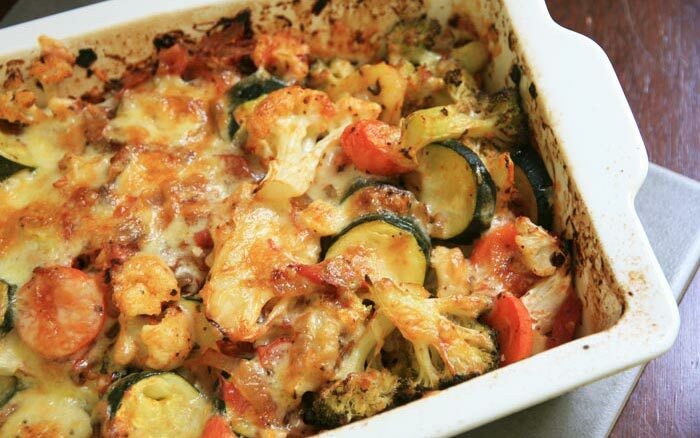 Or a Cheesy Vegetable Bake will satisfy every time! 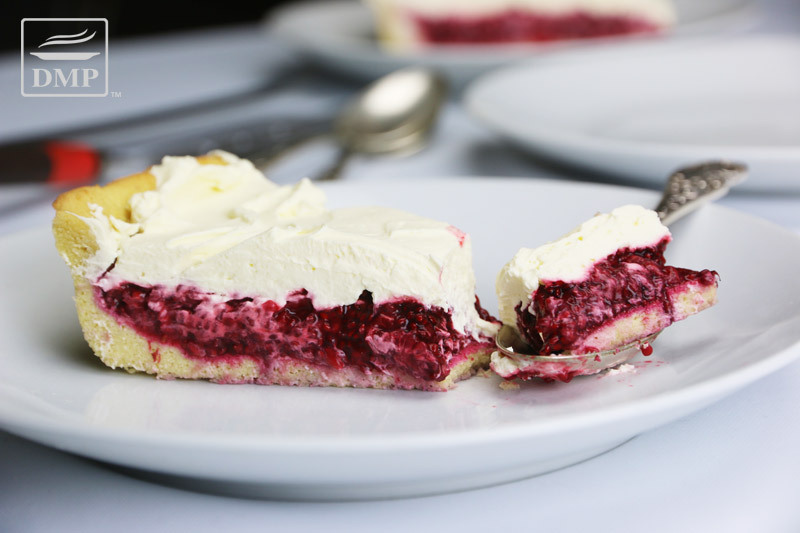 Check out our awesome Raspberry Cream Pie. 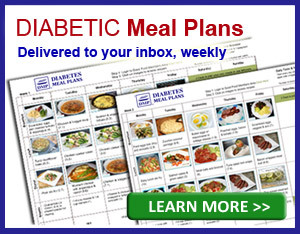 DMP offers weekly diabetic meal planning, with both original meal plans and vegetarian meal plans! Each week you can stay inspired with a new menu each week that includes 4 lunches and 4 dinners, plus a breakfast selection. Take a sneak peak at all the delightful vegetarian meals coming to our weekly menus. 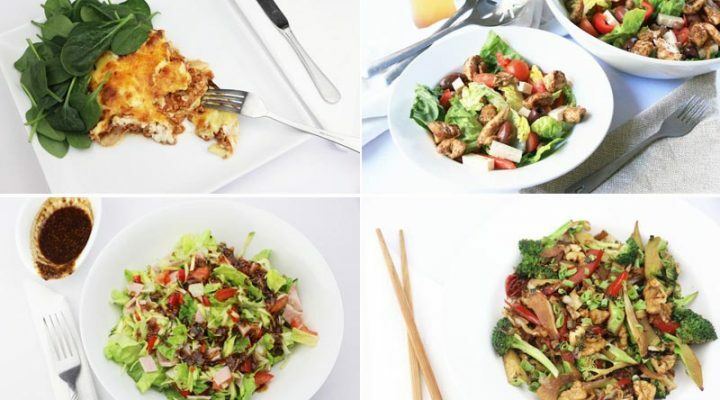 You can choose one or two meals to make, or cook the entire plan – that's up to you. One thing is for sure – you'll never be stuck for a tasty meal idea. And managing blood glucose levels will become a whole lot easier, too! 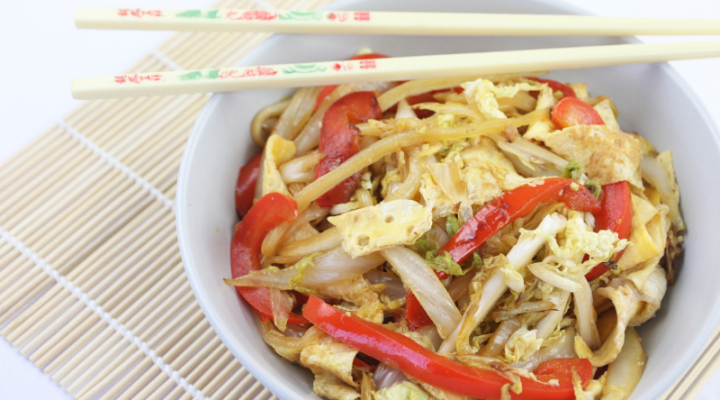 Gain the benefits of receiving weekly vegetarian meal plans – click here for more info. Hi Jennifer, you may find this info useful. One problem is that if one is single, most recipes are meant for multiple people… or else you’re stuck eating the same deteriorating dish day after day until you’re sick of it, or it spoils, or both. And before you suggest it, my freezer is small and full, not even room for an ice cube tray, when I bruise myself I pull out the frozen peas or corn! Thank you for the feedback, Mary. This is definitely something we can take into considering moving forward. I know from my days of living along in college I hated cooking for one person, but there are a few tips and tricks I learned along the way. A big help was cooking “staples” a head of time instead of whole meals. For example, grill some chicken at the beginning of the week. 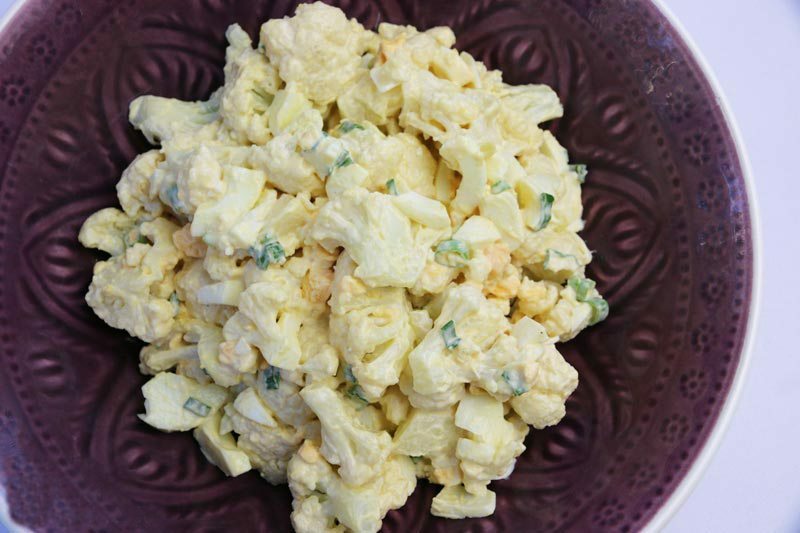 Then throughout the week you can use the chicken in totally different ways that won’t make it seem as repetitive: chopped up on a salad, stir fried with some veggies, diced into a soup or turned into chicken salad with a mayonnaise dressing. Secondly, take a look at your freezer and see what’s in there that needs to go. Keep healthy low carb things on hand. Even if it’s just a few bags of frozen veggies for quick meals during the week. I’ve been vegetarian for 45 years, so precooking chicken isn’t an option, and I always have healthy choices “on hand.” I’m well acquainted with vegan protein sources. All veggies have some protein, as well, but no protein in fruits. Nothing in my freezer needs to “go.” Am researching how to make my own seitan, since there aren’t any decent commercial brands any more and it looks easy and cheaper to make at home, and one can grow tired of tofu. Everything in my small freezer, in just an 18 cubic foot fridge in my rental house, is a necessary item… medications for animals, frozen vegan protein, frozen mice and other prey, a few dinner leftovers, different kinds of powdered mammal milk for orphaned wildlife, bags of plain frozen veggies and edamame. I am a wildlife rehabilitator, (which is idiosyncratic to me, not your readers), and precious freezer space is filled by frozen plain veggies for me and animals, and the fridge is filled mostly with produce for both of us, and condiments and perishables like nuts. It’s just sad that so many recipes and food products on the shelves are aimed at larger households and social situations, even though so many now live singly, both young and senior. No wonder so many of them give up and send out for commercial pizza or Chinese! I don’t hate cooking for one, as you did: I’m a serious cook and baker, like living single, am informed about nutrition, but hate having enough leftovers for a week. If I make it, I have to eat it for a week. Most recipes are geared toward groups, despite so many living as singles. Throwing out food is wasteful of money, disrespectful of all the water, fuel and labor that go into growing our food. It would be so wonderful if someone would make a cookbook just for our considerably large demographic. Most people, they say, have an average of three go-to recipes they rely on, but it can wear out its welcome even if delicious and it’s usually not just one portion. Sounds like quite an interesting job! I am glad to hear you are so knowledgeable about your food options, I think that in and of itself is a huge asset to you in picking meals that fit your lifestyle. Let us know how the homemade seitan comes out. I would love to receive these and other weekly meal plans for myself.. Breakfast,Lunch, Dinner, snacks and especially the right sweets to help keep me healthy. 53 yr old African American Male for preventative methods to balance blood sugar, maintain healthy weight,lower blood pressure, and avoid any and all diseases. Hi Eric, You can purchase our vegetarian meal plans here. Hi – I am not seeing peppers on any list (unless I am missing them). Are red/orange/yellow peppers OK? Yes red, orange, yellow bell peppers are perfectly acceptable, as are some of those hotter peppers like jalapenos! Any non-starchy vegetables are highly recommended, so think anything that grows above the group. HMM, You list brown rice as a high carb offender offender, yet, you use it as a good example for a desirable fiber?? No Bernie, you’ve read that incorrectly. It says: “you do not need to consume whole grains for fiber. 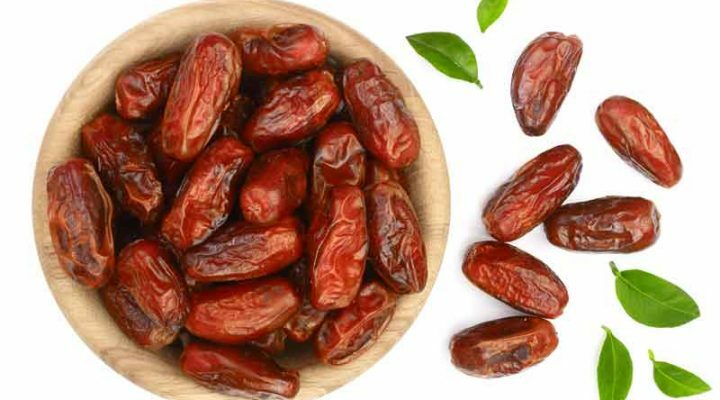 Vegetables, nuts and seeds will provide ample dietary fiber!” The list that follows is a comparison between the amount of fiber in brown rice and vegetables – vegetables providing ample fiber. I have reworded it to prevent any further confusions. Most grains on the shelves aren’t actually “whole,” they’ve been refined to some degree, and there goes a lot of the fiber. They’re still carbs, and still spike insulin. Absolutely, Mary. This is the message we try to spread to our members!